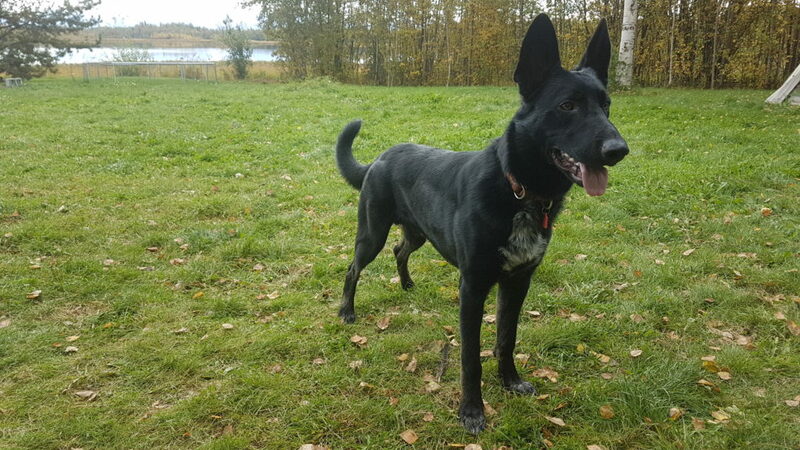 Posted on February 6, 2019 Posted in Dog Blog, Wellness	. 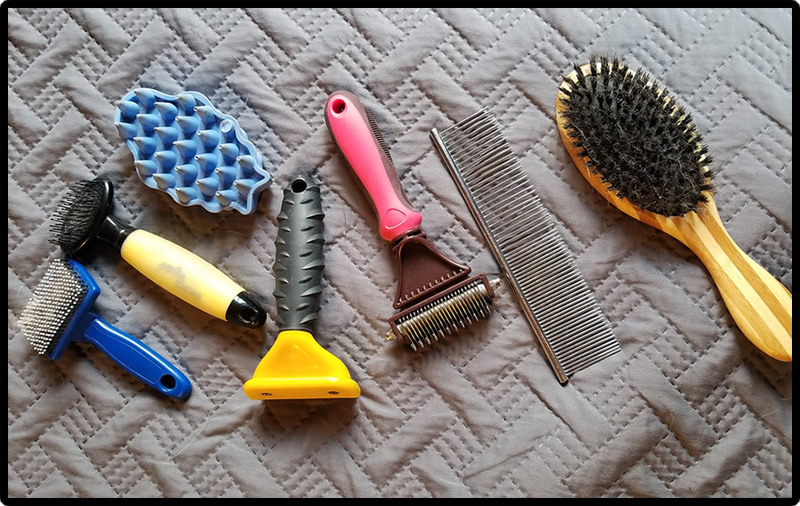 My most used grooming tools for dogs and cat. My absolute favorite is the greyhound comb and I use it almost daily. Keeping your pet’s coat in good condition isn’t just about looking good, it’s also a great indicator of your pets overall health, especially the state of their skin. And while professional grooming goes a long way towards keeping your pet looking great, regular brushing at home is important and necessary to maintaining the balance of the skin’s ecosystem, distributing skin oils and removing dead hair. Brushing also prevents matting that can harbor moisture and bacteria, it keeps hair out of your home and off of your clothes, and is a great opportunity to give your pet’s skin a going over to check for any abnormalities. While you’re brushing, you can watch for bald patches, skin irritations, scratches and scrapes, dandruff patches, hot spots, and any new lumps or bumps that might be forming on or under the skin. Early detection is often key to preventing serious illness and infection…brushing gives great opportunity to watch for problems. For short coats, a combo brush is a convenient way to go, as it has bristles on one side and pins on the other. Brush in the direction of the hair growth and don’t use too much pressure or you could ‘burn’ the skin. Once that is done, you can go over the coat with a de-shedding comb to reduce the amount of hair that gets left in your house. Brushing is also a really nice time to take time out and just bond with your companion. While your dog may not be very excited initially, if you take your time and make it a relaxing moment that feels good, and even offer a few treats, your dog will begin to look forward to grooming time and it won’t be such a stressful battle. I have a 19 year old long-haired cat that insists on being brushed nightly. She has a ridiculous amount of hair that becomes matted very quickly if she isn’t groomed regularly. Bedtime is our time together, after the dogs have gone to bed and the house is quiet, and I can focus on just her. It’s been that way since she was a kitten and I have no doubt it has saved us both a lot of hairballs and heartache that would occur if I didn’t take this time to groom her. Kizmet loves grooming time. Of course, it always comes with a massage at the end. 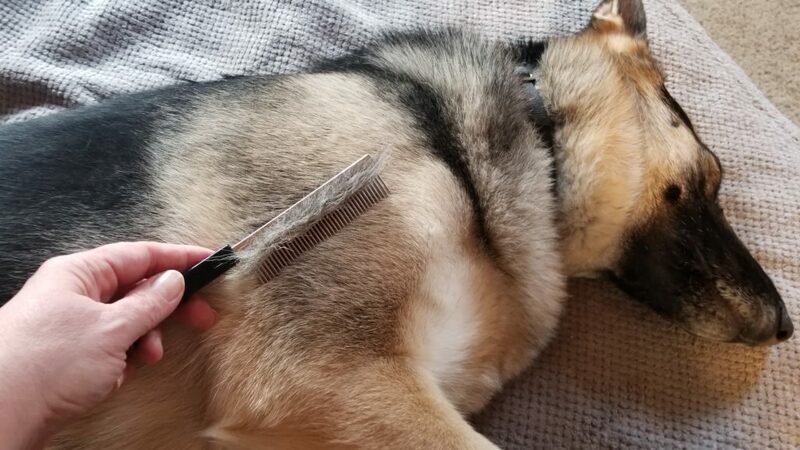 Medium coats and double coats, such as my German Shepherds can be groomed with a comb and bristle brush. Use the comb from neck to tail to get down close to the skin and remove old, dead undercoat. This is where the smell comes from and a big reason people think bathing is necessary. Many times it is not necessary to bathe if you regularly brush your dog and keep the dead coat off and the oils distributed. I generally only have to bathe my dogs if they get into something particularly dirty or smelly. After you’ve thoroughly brushed and removed the undercoat with the comb, you can go back over with a bristle brush. Using a natural bristled brush such as boar hair is preferred, as it distributes the oils more evenly than a plastic synthetic bristle. Long coats can be sprayed with a coat conditioner or oil, such as mink oil, to help prevent damage to the coat while brushing or removing mats and tangles. To remove dead and loose hairs from the top coat, go over your dog with a wire pin brush or slicker brush. Work through mats and tangles with a wide-tooth comb. If you have to cut one out, pinch the fur as close to your dog’s skin as possible to prevent accidentally cutting his skin. Don’t forget to get down deep, close to the skin, with a comb to remove the dead undercoat and finish off with a bristly brush to smooth and shine the coat. 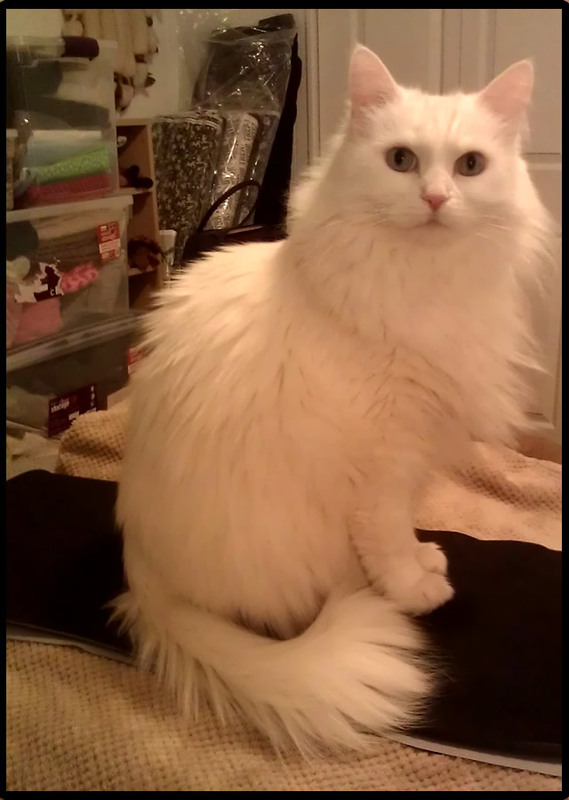 Dragon is very fit and has a very shiny, soft coat. Keeping it brushed and free of dead, dull undercoat keeps him looking even more gorgeous. I also notice he doesn’t scratch as much when he is well brushed. Grooming doesn’t have to be tedious or unpleasant if you get a good routine and do it consistently…and add some treats! Besides showing them that you love them, regular grooming keeps them looking and feeling great. So the next time your dog is smelling a little funky and you start thinking about a bath, try brushing out the old, dead coat first. You might be able to skip that bath after all! It’s a Ruff Life Dog Blog coming in 2019! Posted on January 2, 2019 Posted in Dog Blog	. We are currently updating our website and streamlining our class registration and payment system. We will also be adding a new feature to the site…a blog! Just what the world needs, right? Another dog blog! Well, we hope ours will be enjoyable and educational. Please check back soon. We are working as fast as we can. Until then, I wish you all a happy, healthy, and safe New Year in 2019!